Hobbies, crafts ads in Perth. Thank you for visiting our free advertising website Hobbies, crafts, Perth section. We provide high response free classifieds and free advertisement. Use our online free Hobbies, crafts classifieds placement system to find, list, offer Hobbies, crafts online! Blacksmiths anvil wanted, over 60 kg preferably and be in good condition.. 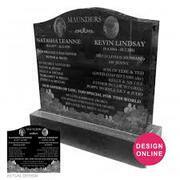 When it comes to designing and manufacturing headstones in Sydney, Forever Shining is the only name that springs in mind. Regardless of any shape and size, our skilled manufacturers can design headstones based on your specific requirements. Also, we feature a wide range of headstones to choose from. See more at : http://www. Based in Perth, Western Australia, Forever Shining has etched its name as the best suppliers of customized headstones in Sydney. Regardless of any shape and size, we are able to carve to your required specification. We are a one-stop destination for supplying a unique selection of headstones. See more at : http://www. Attention boat builders! Daniel Holden; an experienced boat builder of 20 years will show you exactly how to start building the boat of your dreams easily, so that you're fully up and running, within days from now. 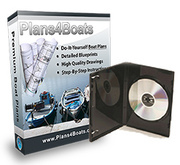 - No matter whether you're a beginner or a seasoned boat builder. - No matter whether you're building your first boat or your 10th project. Australia free ads for Hobbies, crafts, Perth, Hobbies, crafts free ads Perth, Hobbies, crafts for sale Perth, Hobbies, crafts to buy in Perth. Find on this page free classifieds for Hobbies, crafts in Perth. This listing includes classifieds for sale and to buy in Perth. FREEADSAustralia Perth offers you a platform to post free advertisements or classifieds for Hobbies, crafts in Perth. FREEADSAustralia helps you search, find buy, sell, rent or hire in various categories like apartments, goods for sale, local services, cars , jobs and many more in Perth. If you posted an advertisement in category Hobbies, crafts of FREEADSAustralia Perth before please use Edit my ads button to change or cancel your ad. Hobbies, crafts Perth ads Perth, Hobbies, crafts classifieds Perth, Hobbies, crafts free ads Perth, ads for sale Perth, ads to buy Perth, FREEADSAustralia. Find here ads for sale, to buy and rent in Perth. Goods for sale in Perth, vehicles for sale in Perth, Perth real estate for sale, Perth property for sale, property for rent in Perth, business ads in Perth, Perth business classifieds, services in Perth, Perth services ads, jobs in Perth, pets for sale in Perth, Perth dating, Perth cars for sale.